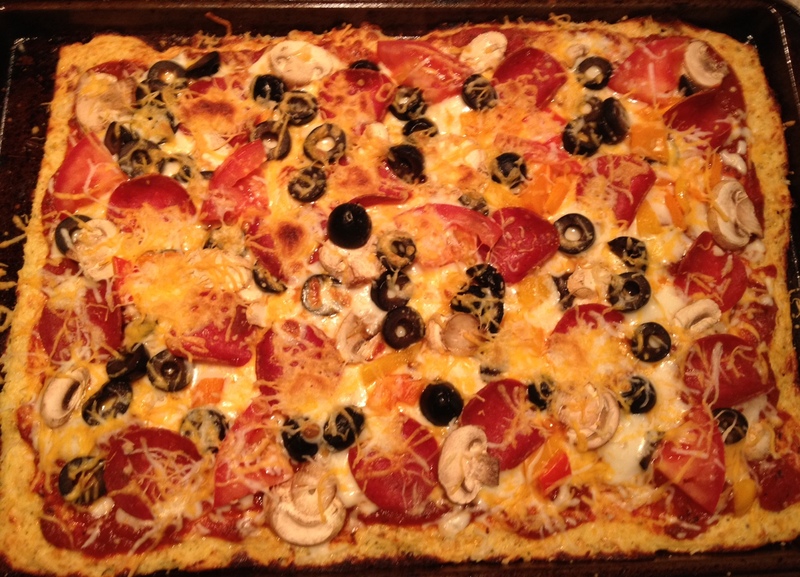 Delicious toppings on Cauliflower Crust Pizza. If I were to eat one thing for the rest of my life, it would probably be pizza. Not because pizza is so damn delicious, but because you can do so much with it. 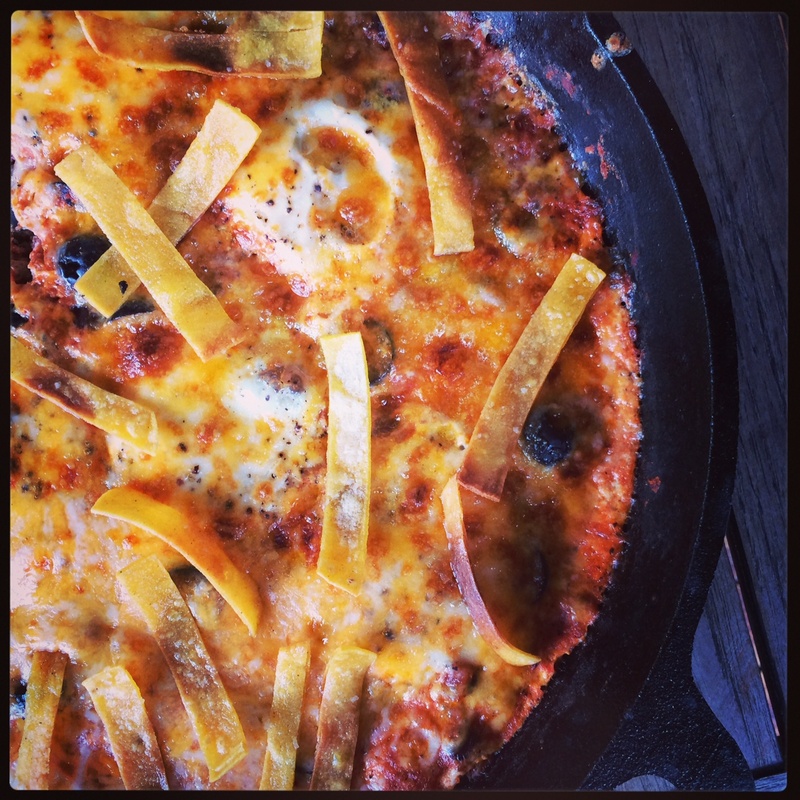 There are so many possibilities – thai pizza, mexican pizza, greek pizza, buffalo chicken pizza, veggie pizza, meaty pizza…I could go on and on and on. I even had gyro pizza once, and it was phenomenal. Then there’s the crust. Thin crust, thick crust, flatbread, chicago style, deep dish, STUFFED CRUST! SO.MANY.CHOICES. 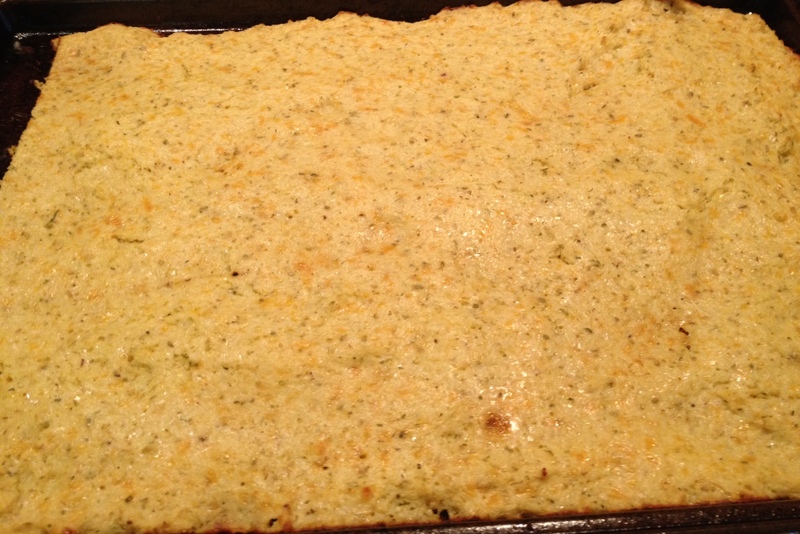 Cauliflower Crust – lots of flavor and added kick in there! But wait…Cauliflower crust?!? Seems immoral. Not okay. But at the same time, you realize you are instantly intrigued. 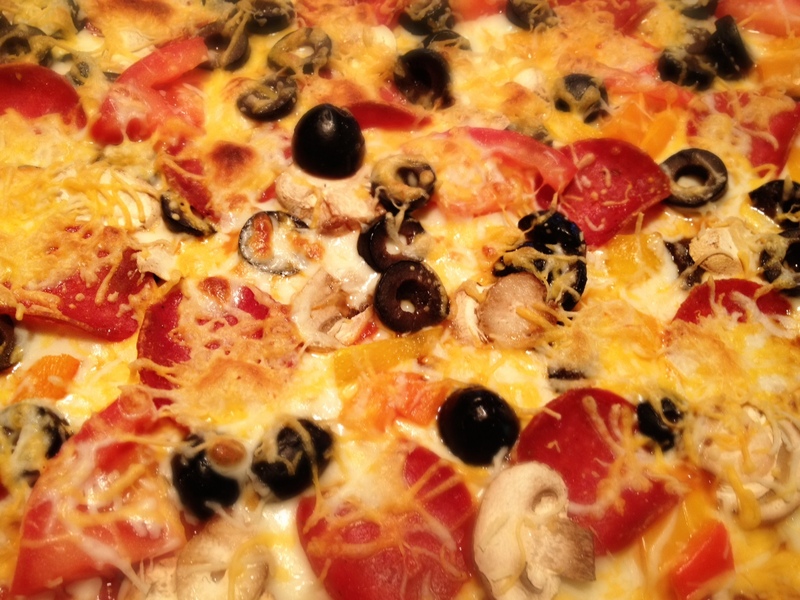 Pizza that is…somewhat healthy? Practically guilt-free? 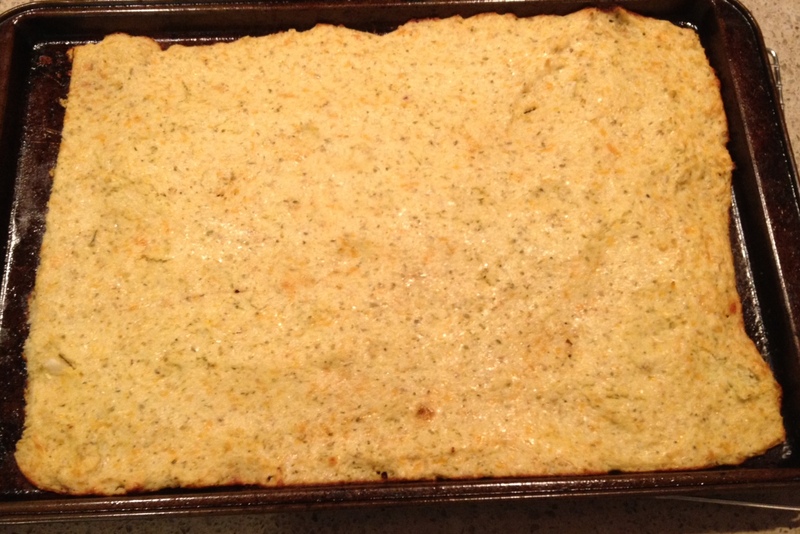 A vegetable crust? No way. You just have to try it for yourself. Cauliflower Crust – Super flavorful and surprisingly delicious. You wouldn’t even know this pizza had a healthy crust! 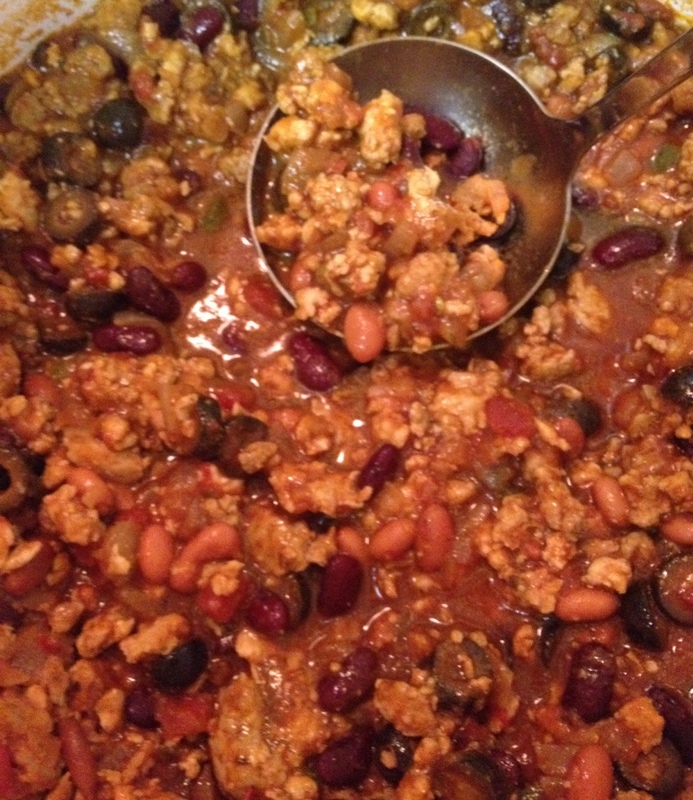 Chili with ground turkey and pork sausage, beans, beer, and my favorite addition: black olives. A few weeks ago, this super awesome guy I know mentioned he really wanted Chili and Baked Potatoes. He said he found some “healthy” recipe online, and I stopped him right there. No. We are making my Mom’s Chili. End of discussion. It’s actually quite healthy. Except for maybe the bottle of beer. But that all cooks out, right? Whatever. Beer makes just about everything better. Keep in mind that I am well aware my food photography is not going to win any awards anytime soon. Maybe one day I will get a fancy camera and take a food styling class and buy matching dishes – but for now we’re not even close to that. You just gotta trust this stuff is delicious. Add the cooked meat and herbs along with the tomato. 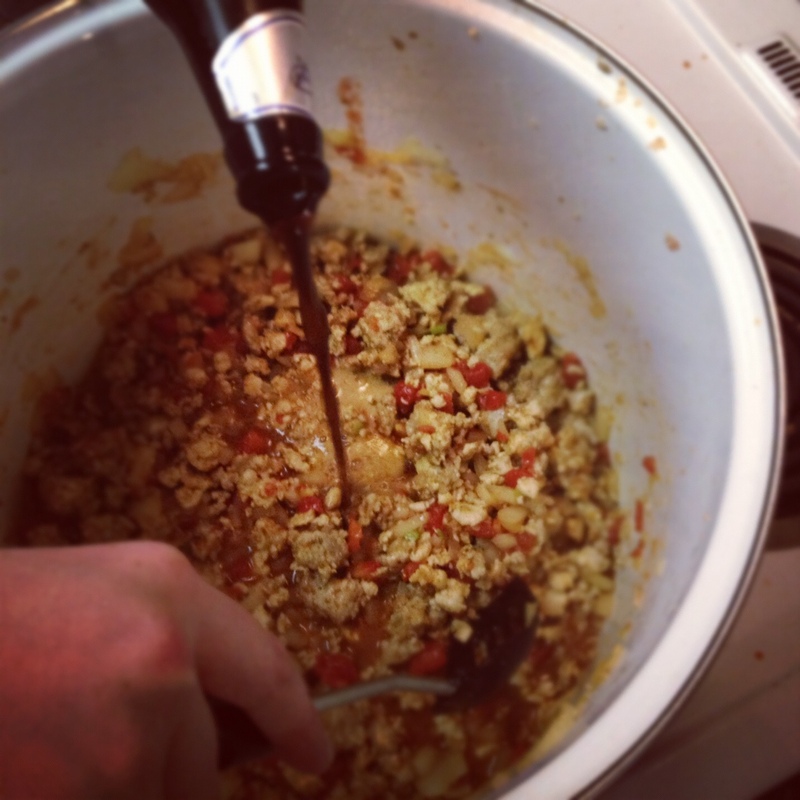 Stir together and add the beer. At this point, the sauce might be a bit thin, so add some tomato paste to thicken it up. Sometimes you can use a whole can, sometimes less. Since tomatoes tend to be acidic, add a little sugar to tone them down. Start with about a tbsp. and then taste. 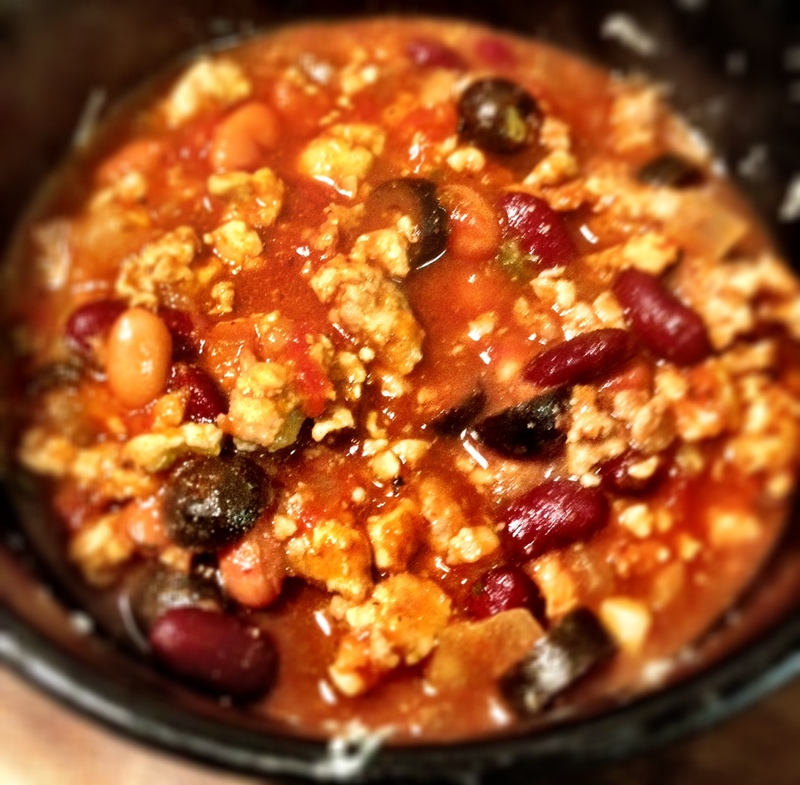 Add the beans and olives (totally optional, since I am olive obsessed). Stir, let simmer for a bit longer to let the flavors blend together and serve. 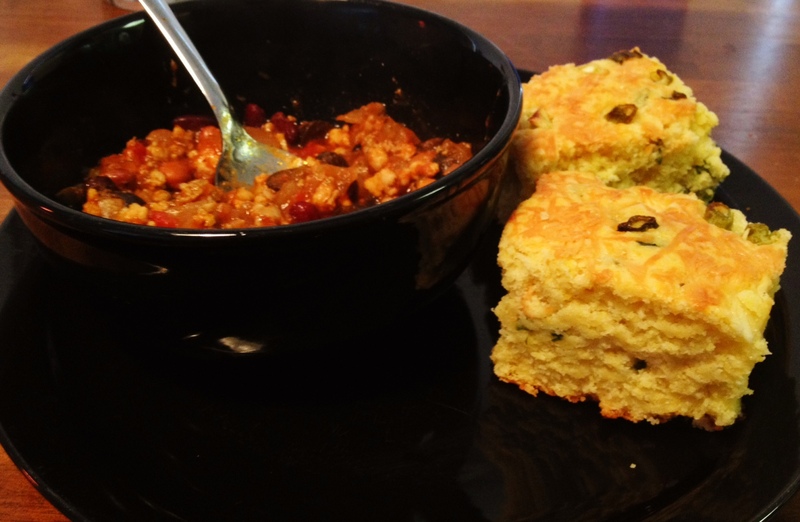 serve with baked potatoes or jalapeno cheddar cornbread. Chili was made for them. 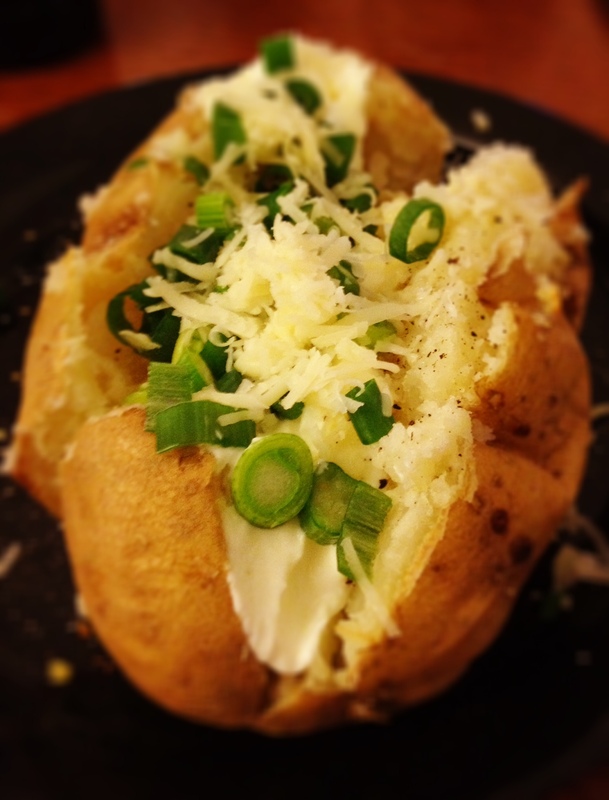 I don’t drown my baked potatoes in chili (like someone I know) I keep it simple: sour cream, chives, cheese, salt & pepper. use 1-4 potatoes, however many you want to make! Preheat oven to 375. Scrub and clean the potatoes with hot water. Poke some holes in the potatoes with a fork to let air escape. Lay potatoes and a sheet pan, directly on the rack, or wrap in foil. Let cook in the oven for 45 minutes to an hour. Test potatoes for desired softness, cut open and serve with sour cream, chives, and cheese. Enjoy! 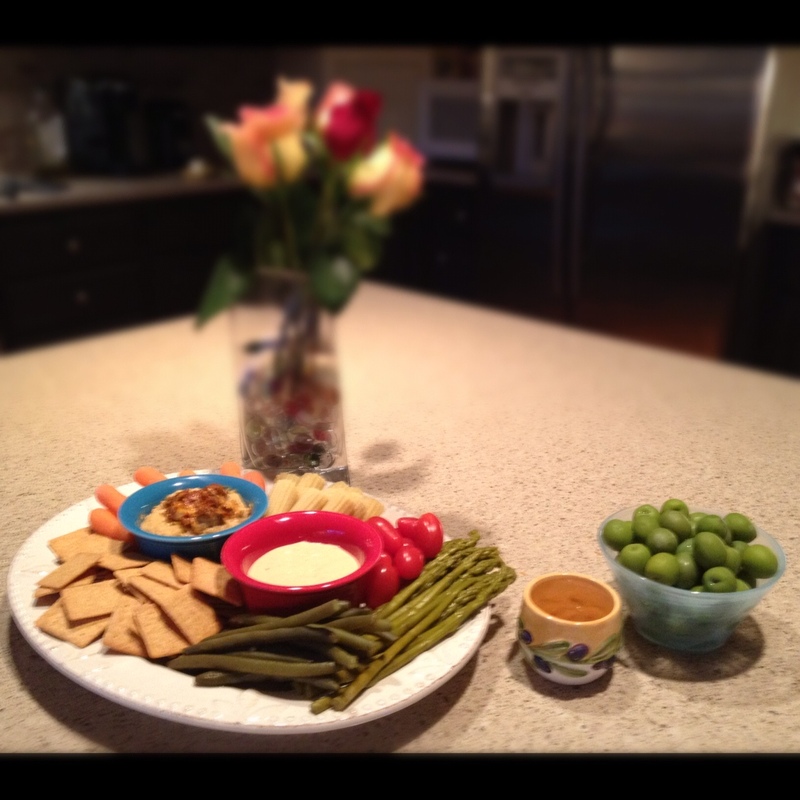 Pickled veggies, crackers, olives, hummus, flowers for good measure. Totally easy and you can last minute wing it if you keep this stuff in your house. 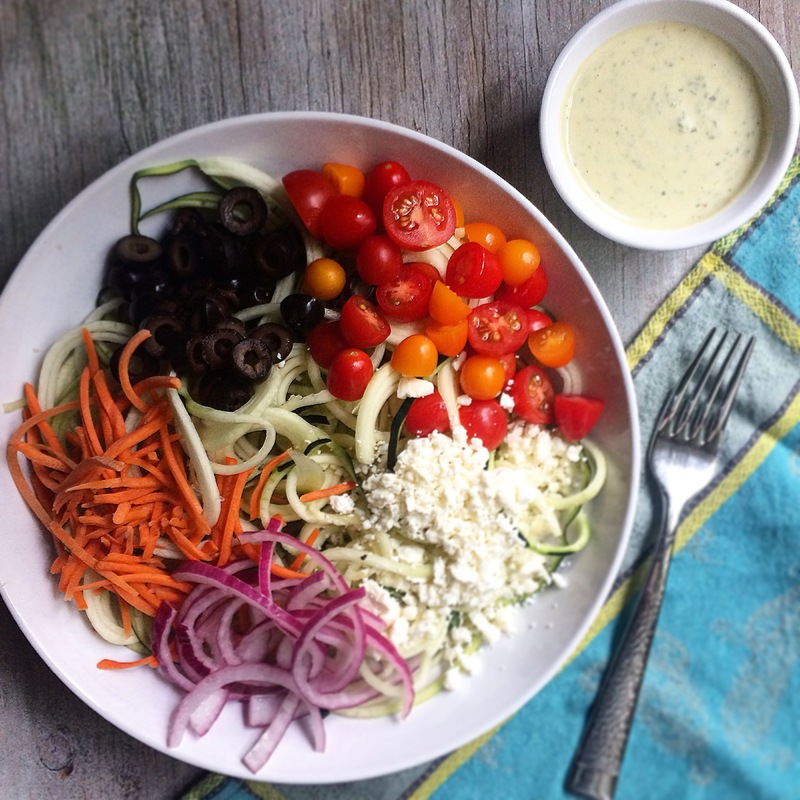 I always try to throw in the best olives, ever. 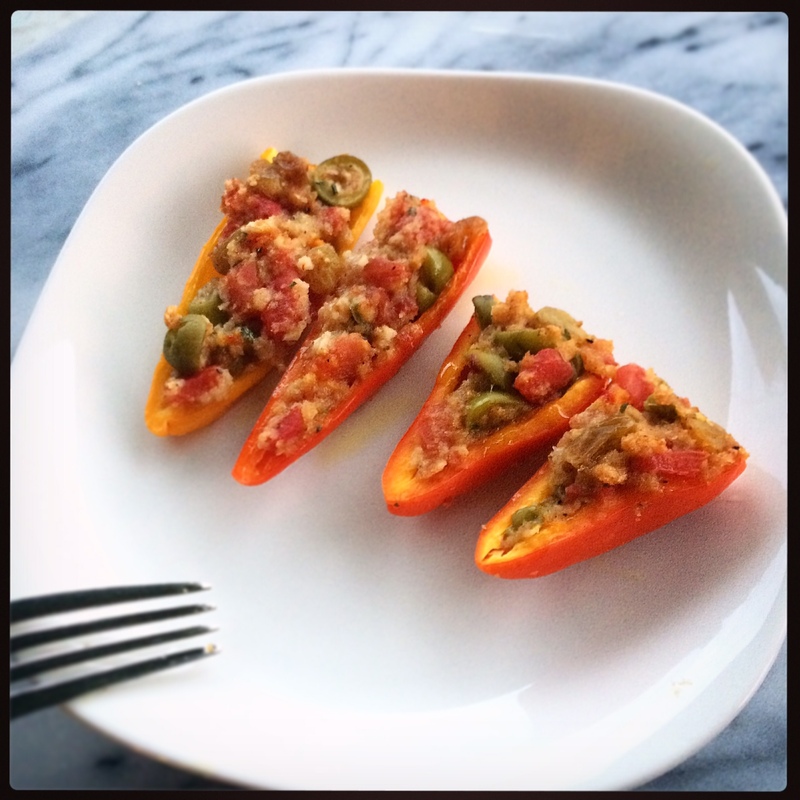 Castelvetrano's. 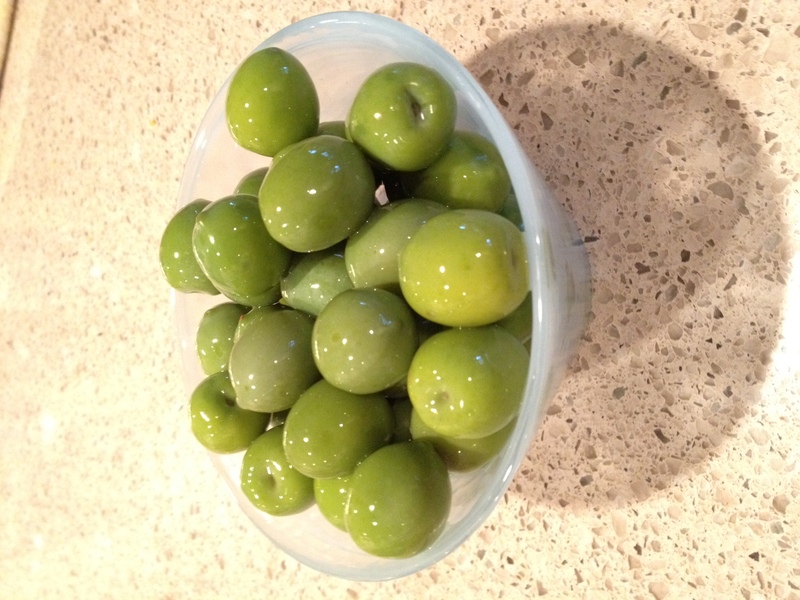 The Best Olives. Ever. Castelvetranos. I first had these years and YEARS ago (like back in 2007) when I was living in LA. They were SUPER expensive and could only be found at this little market. Imagine my delight when I recently found them at Costco. Jackpot.